Posted February 11, 2015 by William Martin & filed under Ratings. 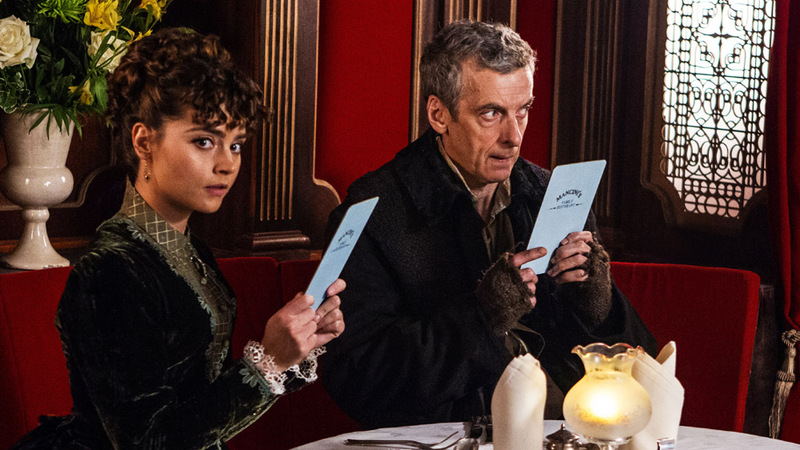 The final UK viewing figures and Audience Appreciation Index scores for all of 2014’s Doctor Who episodes have now been revealed. ‘Deep Breath’ was the most-watched episode of Doctor Who last year, while ‘The Caretaker’ was the least-watched. ‘Mummy on the Orient Express’, ‘Flatline’ and ‘Dark Water’ were the most appreciated episodes. ‘Overnight’ figures show the number of viewers who watched the episode live (or recorded and watched it the same night). ‘Final’ figures (not including iPlayer) represent viewers who recorded and watched the episode within one week. ‘L+7’ (Live Plus 7) shows how many viewers watched live or repeats, including iPlayer views, within 7 days of the episode’s original broadcast. The ‘AI’ score (Audience Appreciation Index) is marked out of 100 and shows viewers’ enjoyment of the episode. Season 9 began filming in Cardiff last month and will air on BBC One this autumn.